Klibur Domin is an NGO that provides healthcare services for tuberculosis patients in Timor Leste. For World Health Day, we asked Martin Moignard, a Palms volunteer working with the organisation in Tibar, about the challenges faced by Klibur Domin in reducing the incidence and impact of TB in Timor Leste. Though the centre has several programs addressing prominent health issues, Tuberculosis (TB), and the even more deadly Multi-drug Resistant Tuberculosis (MDR-TB), is the most significant health concern that is addressed at Klibur Domin. People living traditional ways of life in remote communities are not prominent seekers of western medicine. Although free healthcare is reasonably accessible in Timor-Leste, individuals in communities mostly rely on traditional medicines to treat and cure various illness, including Tuberculosis. Unfortunately, traditional medicines have little effect on the deadly tuberculosis infection. It is often the case that people present to hospitals only when they are already very sick. For Tuberculosis infections, this means that the opportunity for early TB treatment has been missed, which puts the patient’s life at risks, and increases the opportunity for the TB to spread to others. Economically, diagnosis with Tuberculosis is a major concern for the poor. 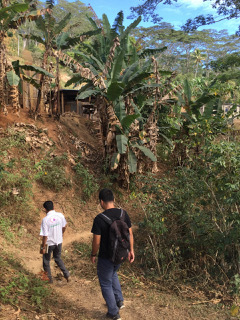 The treatment includes a long period of isolation, potential loss of income due to inability to attend work, and social stigma in the community associated with TB, which is a known killer in Timor-Leste. These factors also contribute to individual’s reluctance to seek diagnosis and treatment, as well as support during their treatment phase. Education about Tuberculosis remains a major challenge in Timor-Leste. In communities, illnesses are generally dealt with through traditional means involving the aid of a matan dok (traditional healer). Distrust for western medicine remains prevalent in remote communities, which has to be understood in the historical context of hundreds of years of often oppressive foreign imperial rule versus hundreds of generations of traditional practice. Western medicine represents a move away from traditional practice and the societal structure central to traditional healers. Unfortunately, tuberculosis can only be cured with an intensive antibiotics regimen which can last from months up to a year. However, many patients rely solely on traditional treatment options until their TB infection becomes so severe that death is imminent. 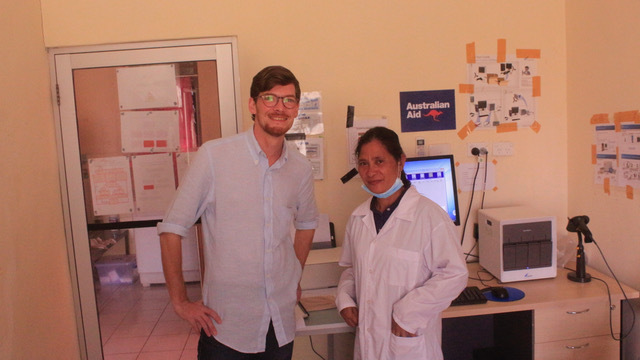 Klibur Domin has a team of trained TB officers who travel by 4WD, motorcycle, and on foot, to reach remote communities in the Timorese mountains and collect samples to be analysed in our state of the art TB testing facilities. We work with local medical staff and traditional healers to improve the rates of TB diagnosis and we conduct education programs to ensure that patients in communities successfully complete treatment with the support of family and other members of their communities. For patients at a higher risks of failure to be cured of TB, we have dedicated TB inpatients facilities in Tibar, currently treating 38 TB and 10 MDR-TB patients, where those at the highest risk receive supervised care until we are confident that their treatment will be successful. By far the greatest challenge facing the national goal to end Tuberculosis infection in Timor-Leste is the geographical landscape. Timor-Leste is a mountainous country, with underdeveloped road infrastructure, and a majority of the population living in remote communities that are inaccessible by car. Furthermore, many suspected TB patients live on hillsides requiring long journeys on foot to collect samples for testing. 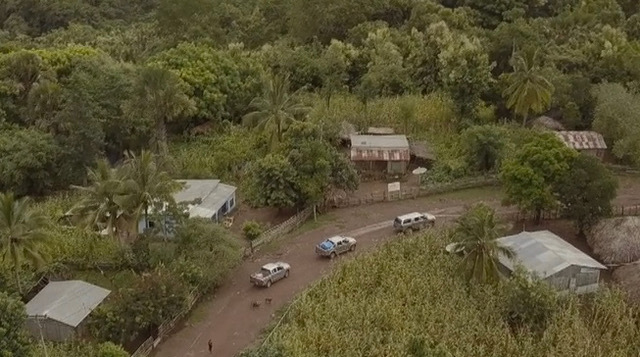 This is further exacerbated by the wet season, when roads and trails are damaged and unpassable, making many remote communities even less accessible. To combat the challenges of accessing remote communities, Klibur Domin works with local healthcare staff at the district, sub-district, and suco levels to identify suspect TB patients. We also work with traditional healers to help diagnose TB in people who do not present to clinics and hospitals. Our local partners are on the front line in locations that Klibur Domin cannot visit on a regular basis. They know the situation on the ground better, and have the strong local relationships to help the TB program achieve its objectives, from diagnosis, to treatment and follow-up with patients when they are cured. 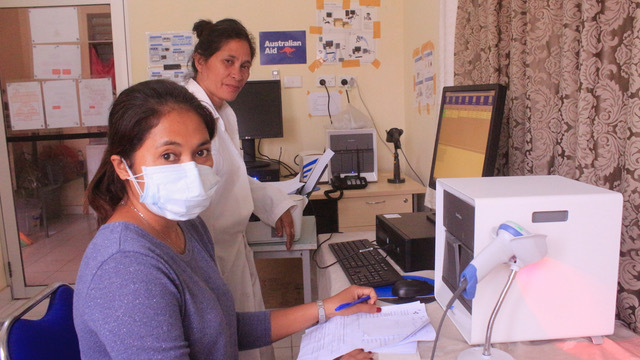 To support the work of Klibur Domin in combating MDR-TB in Timor Leste, donate to their project. If you are a GP or rural medicine specialist looking for an opportunity to help a community in the Asia-Pacific, Palms is currently recruiting a GP to work with a small clinic in Venilale, Timor Leste.